We are making our way towards the south but have stopped off in Combourg to meet up with family who are on holiday currently in France. Combourg is situated between Rennes and St Malo. 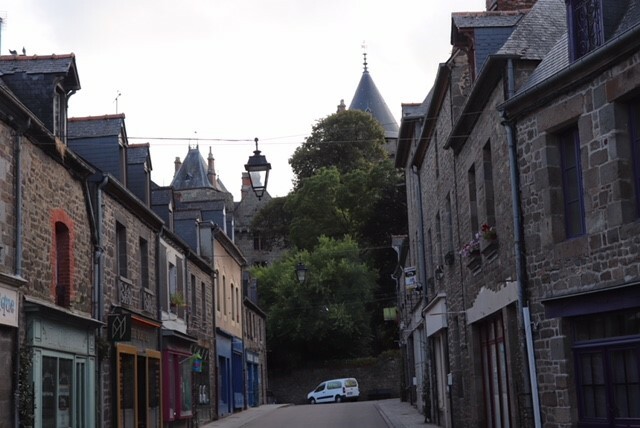 This medieval village has a wonderful Chateau, construction of it began in the 12th century and in Arthurian legend it is the castle of Sir Lancelot and is situated in “Merlin the wizards” magic forest. 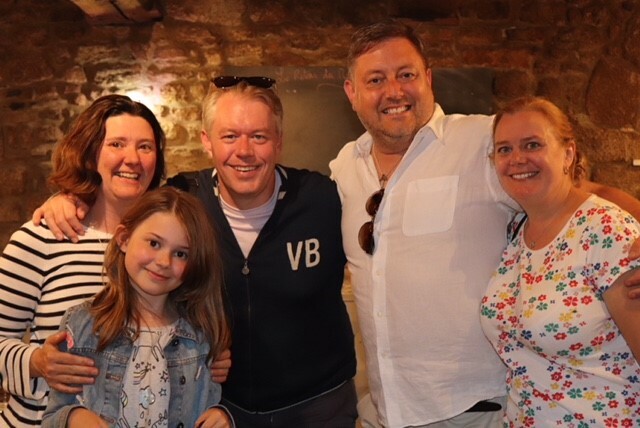 It was great to catch up with my brother, sister in law and niece. We went to a lovely restaurant in the evening and then headed back to the motorhome to chat and have a few drinks. The following day we took the dogs for walk around the lake, then headed up into town for us to get a takeaway for tea as a little treat and have a look around.